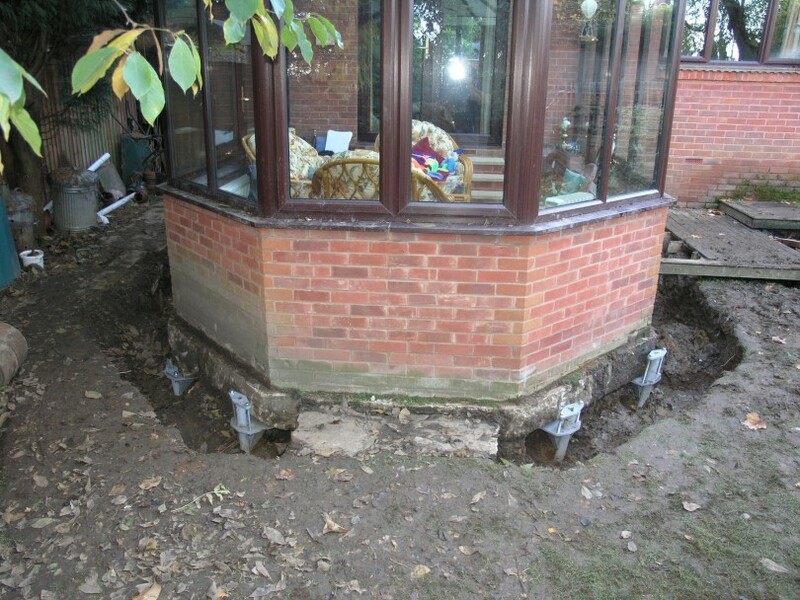 A conservatory which had been unsuccessfully underpinned using concrete, has now been restored to its original level using 60R helical screw piles. Initial soil tests indicated that competent ground would be located at approx. 2m depth. 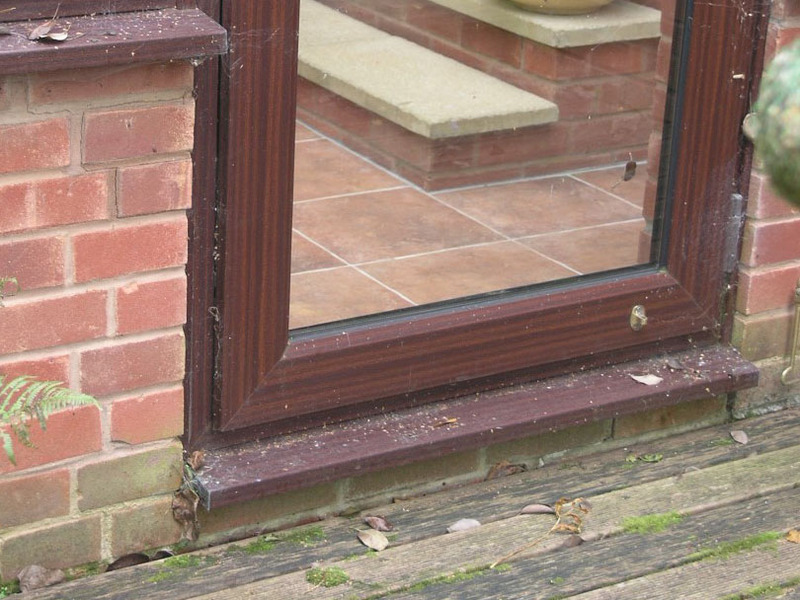 However, inspection of the failed foundation and the local presence of trees shed some doubt on this information. 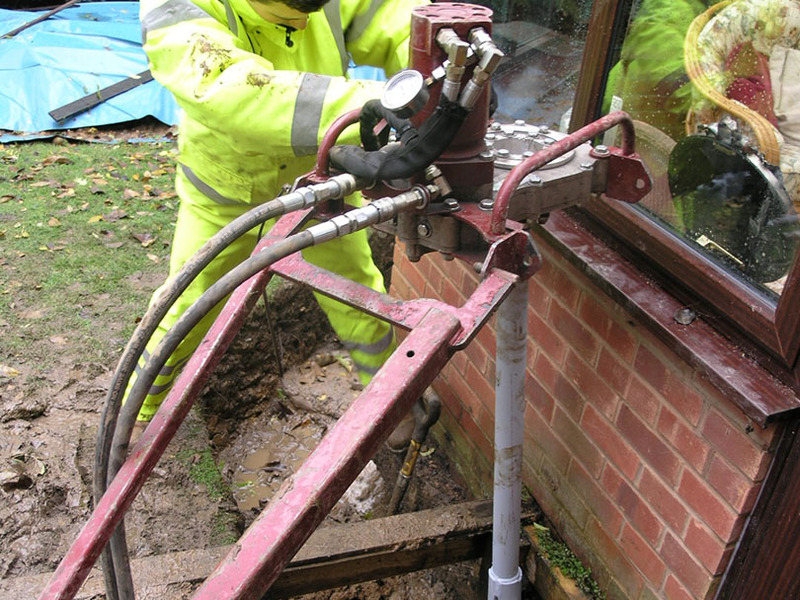 Pile installation was very quick with all equipment hand portable on site. 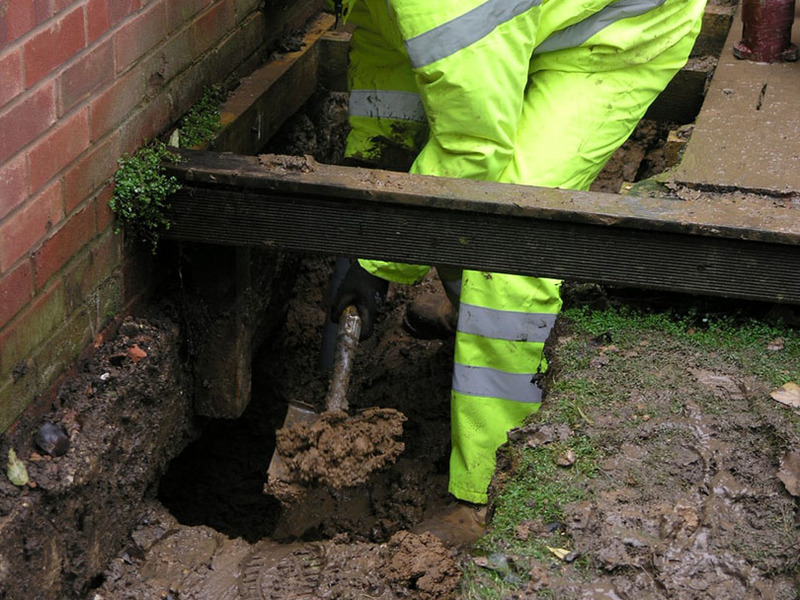 On this site conventional foundations looked OK but were in fact terminated just above a layer of poor ground. A two man crew took 1½ days to complete the operation. Piles were positioned to avoid a number of underground services/utilities. Using the ABC 400H hand held driver, which has a continuous torque read out, our operators discovered that the competent ground overlay a 2m thick band of soft material. 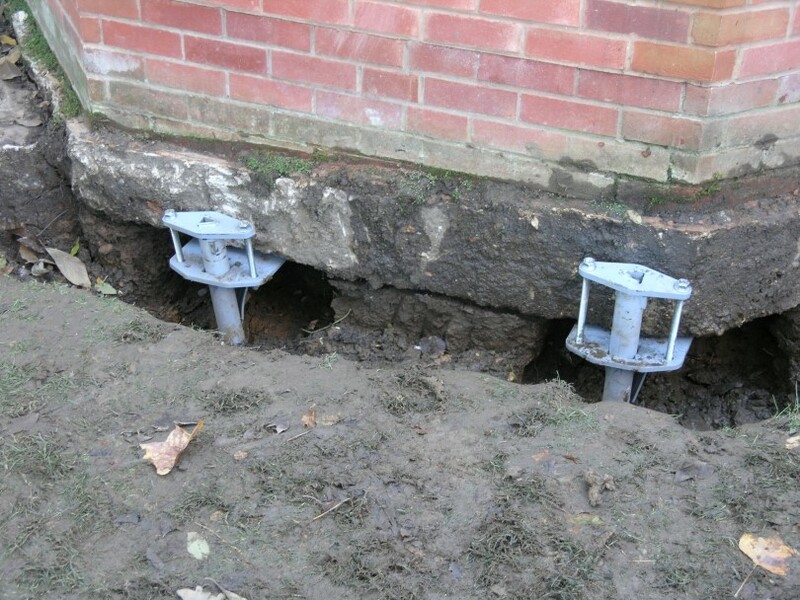 The piles shown were driven to depths of 5-6m before achieving satisfactory installation torques and standard underpinning brackets were then installed and carefully jacked using our 40KN/pile system. The photos show the ground beam has now lifted from the conventional concrete underpinning and is restored to its original level.